With the days getting longer and warmer, very soon the spring fever will be making way for the summer rains. As soothing as the summer rains can be, they can leave you drenched in problems if your home is not ready. 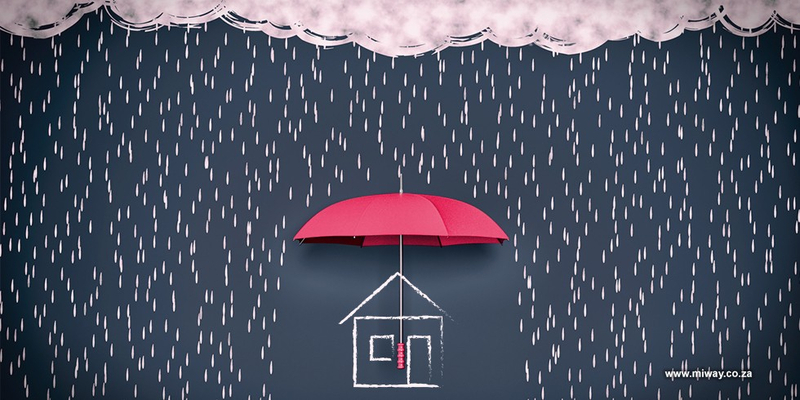 Having home insurance in place is a good start to ensuring your home is covered for the storms, but a little housekeeping and maintenance won’t hurt to keep your home in a good condition. Checking your roof should be a frequent exercise. It advisable to check and maintain your roof with every season change – check for a shift in tiles or corrugated sheets, cracks that could cause leaks and whether your apex needs resealing or not. If you live in a thatch house, ensure that your lightning conductor is SABS approved and has been treated within the last 7 years. Get your hands in those gutters. Now is the time to get your hands dirty in your gutters. Cleaning your gutters of leaves and any debris regularly will keep them in peak condition and prevent damage from stagnant water. Once you’ve cleared any possible water blockages, use a hosepipe to wash the gutters down and check if there are any leaks or overflows that need attention. Seal the parameters. Once you’ve secured the roof and gutters, take a walk around your home and identify other areas that may need attention before the rains fall. Check for things such as your downpipes that are meant to feed water away from your structure; any obstructions that could prevent water from flowing away from the house; and your drainage systems. These could lead to water seeping in from different angles and causing more damage to your home. When checking the rest of the house, remember to check your doors and windows for resealing or oiling that may be needed. Regular home maintenance is key to keeping your home covered and ready for each season. The rainy season can come with a downpour and flooding of financial challenges from water damages. Having and understanding your homeowner's or building insurance will come in handy for those sudden and unexpected storms. As a MiWay client you can check and update your policy online to ensure that whatever the weather, your home is covered accurately.